The rise of kētai shōsetsu —digital novels written and shared on mobile phones, predominantly by girls—in the late 2000s caught the attention of Japanese critics and journalists, as a new literary phenomenon that was taking the world of Japanese girls’ literature by storm. In 2008, journalist Kenrō Hayamizu published a book titled Kētai shōsetsuteki: ‘sai yankīka’ jidai no shōjotachi [‘Mobile Phone Novels: Girls in the Re-Yankification Era’], in which he draws a parallel between mobile phone novels and the yankī culture that has its roots in 1980s youth culture. In this pioneering work, Hayamizu interpreted the emergence of the mobile phone novel as a sign of a yankī cultural revival. Although there is undoubtedly a strong parallel between mobile phone novels and yankī culture, the argument that this is simply a ‘revival’ of the 1980s rebellious youth culture significantly undermines the role that girls play in the cultural production of such novels. Using the Wild Beast series [2009–2010] by Yū as a case study, this paper argues that the girls writing and reading mobile phone novels are reimagining yankī culture as their own. 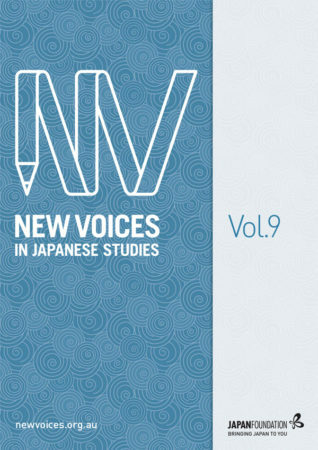 This study investigates the multiple representations of shōjō in the translated literature and print media of Japan’s Meiji era. It explores the origins of the shōjō as a yōkai, or mythical being of traditional folklore and Noh theatre, through to its unveiling as a real-life creature of the modern world, as an orangutan, initially at misemono sideshows, before its introduction to the Tokyo public at the Ueno Zoo, in 1898. The zoo, as a new framework for ordering the relationship between people and the natural world, is one of the cultural systems through which knowledge of the shōjō was constructed, circulated and experienced in this period. Examining such materials, the paper reveals contesting knowledge systems that contributed to modern experience. Translation also plays an important role in this process and the translated literature of this era is explored and foregrounded here as an active contributor to the creation and transition of knowledge of exotic animals like the shōjō in late nineteenth- and early twentieth-century Japan. ordinary aspect of gendered performance.